STIEFELMAYER-Lasertechnik – we did not invent these technologies, but we created something special with it: STIEFELMAYER HC5. Hardening (laser hardening) and cladding (laser cladding) with 5 axes. The STIEFELMAYER HC5 could be called “all inclusive”. A revolutionary machine concept made it possible to build the complete machine on a platform. 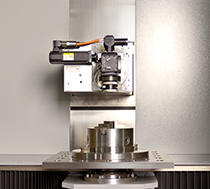 A novelty for 5-axis laser processing was created. The STIEFELMAYER HC5 was the result of longstanding experience in the design of laser processing machines. 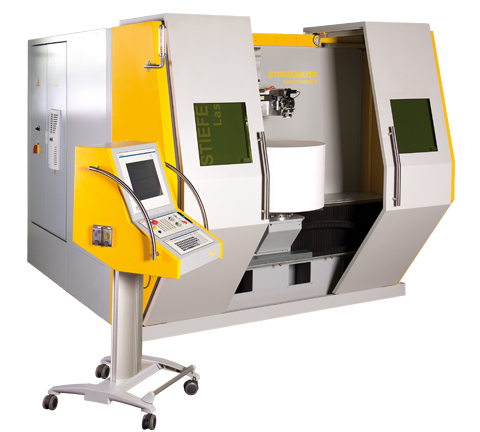 Designed as a horizontal laser machine in cross-bed design with a swivel head and an indexing table. This allows a 5-sided machining in very small space. The cube dimensions amounts to 500 mm at a maximum focal length of the optics of 250 mm. The properties of lightweight carbon construction – high rigidity and low weight – ensure the highest accuracy in any position of the extension arm. 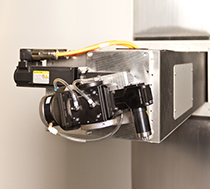 Of course the machine is also suitable for other laser machining tasks which are carried out with a fibre guided laser. The axis arrangement means that the machining head is only pivoted so the laser beam is never directed against the cabin in the area of the operator. The safety of the operator was the top priority in the development of the machine. The complete machine is encased with a laser-safe cabin. The ergonomic design of the STIEFELMAYER HC5 allows the machine to be loaded with a crane for machining even heavy components. The metal powder used in cladding requires efficient extraction. On the STIEFELMAYER HC5, the extraction channels are integrated into the machine close to the machining process. 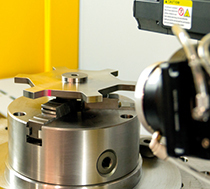 As a standard, the machine is equipped with a fibre coupled diode laser for surface processing by laser hardening and laser cladding. Other fibre guided lasers can also be installed to make the machine suitable for other laser machining tasks such as 5-axis laser cutting or laser welding.